eCommerce Market Pro is one of demanding theme for E-Commerce stores with an awesome design. It follows modern design to build perfect website for all kind of businesses. We can say this theme is a kind of multipurpose theme. It is a perfect match for laptop, mobile & tablet stores, fashion shops, sports sales, digital markets, cosmetics & jewelry shops, online book stores and more. It is compatible with WooCommerce plugin, YITH WooCommerce Wishlist and other major WordPress plugins. The theme is fully customizable, SEO friendly, and truly responsive which adapts its layout as per screen size. 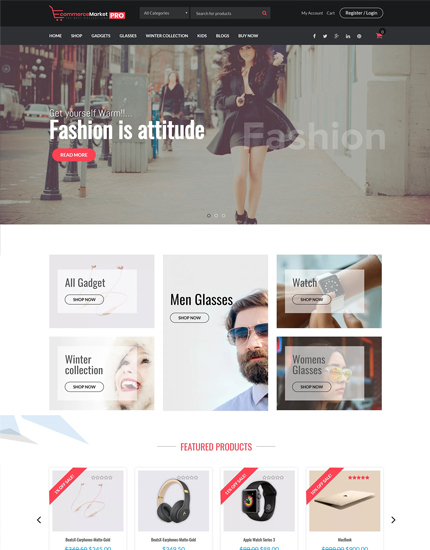 This theme includes many great features like Parallax effect, Carousel Slider, sticky sidebar, Multiple custom widgets, primary color/font options and more. Most of Woo templates are redesigned with unique concepts. It has unlimited colors and header, footer layouts. 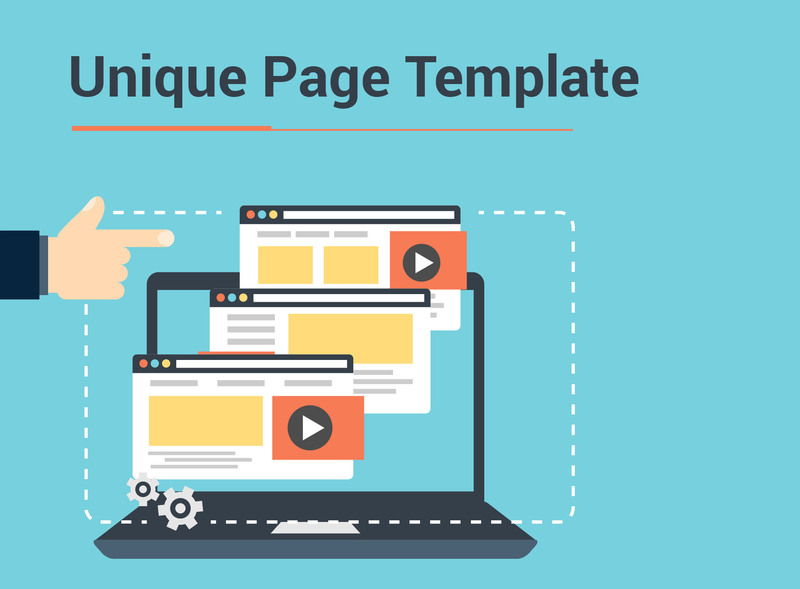 It’s also compatible with any Page builder, Visual Composer plugins. You can display your products in nice ways like full-width large banner of product, features & new arrivals products with multiple columns, tabs, Ads areas, customer’s Testimonials including latest news of your store. 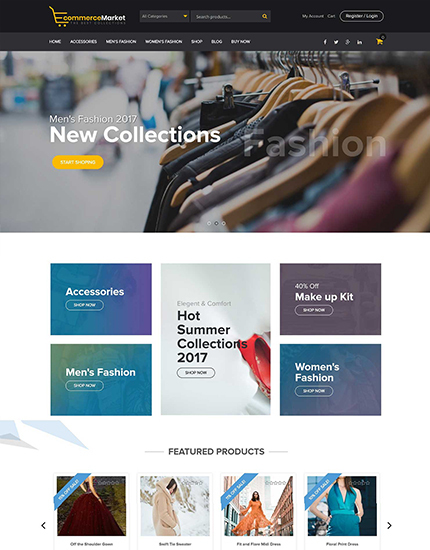 This theme also includes unique page templates for store page, cart, checkout and more. It will surely help you to create a perfect web store with a short time. You can make sure that your website will work on almost all devices like desktop, tablet and phone. E-commerce Market pro is created with unique page templates for store, cart, Checkout and more. 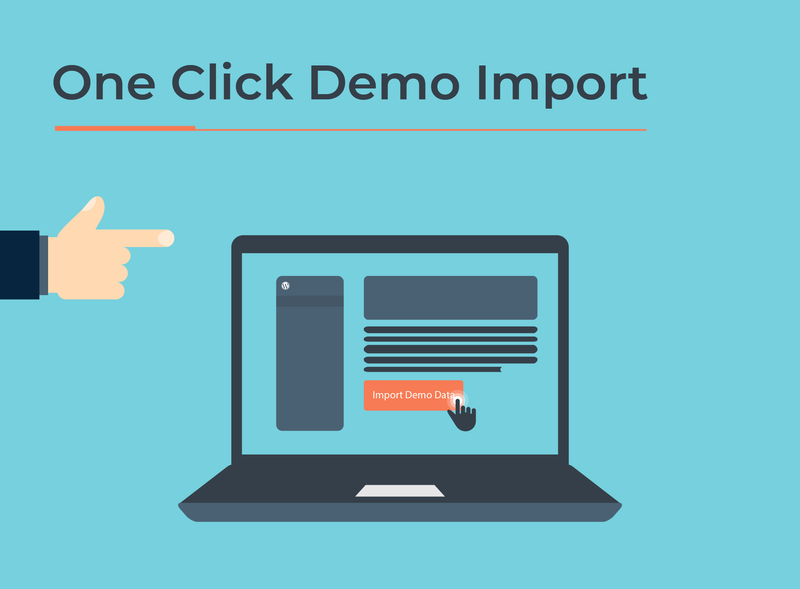 One click demo import is one of the most useful features that of eCommerce Market Pro theme have. Users love to start the website development process at the same starting point as the theme demo page, so they can quickly develop the website they want. It covers sticky sidebar. Scroll down the page and watch the sidebar scroll with you. Don’t worry about footer, it stops when footer starts. eCommerce Market Pro theme includes multiple custom widgets. You can extend the layout and functionalities using those creative widgets.